Over the past couple of weeks, we have gotten a few requests to review some more cost effective versions of some of our favorite pieces. Well, we aim to please so we started poking around. It didn’t take long for us to happen across a well priced stand in for the trusty engine turned Tiffany & Co. belt buckle. Courtesy of J. 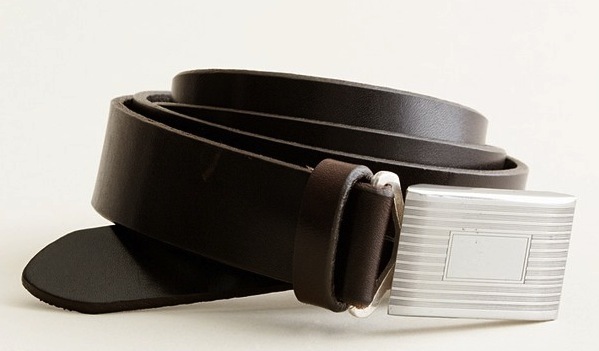 Crew, you can now get a similar look for nearly 80% less with their Classic Leather Plaque Belt ($49.50). Though some women would disagree, we think horizontal stripes are a good look. We probably wouldn’t go as far as to rock a full suit of horizontal stripes, but sweaters, shirts, and ties, are 100% fair game. Recently, we came across a fantastic mid-weight sweater from Tommy Hilfiger that features this polarizing pattern. 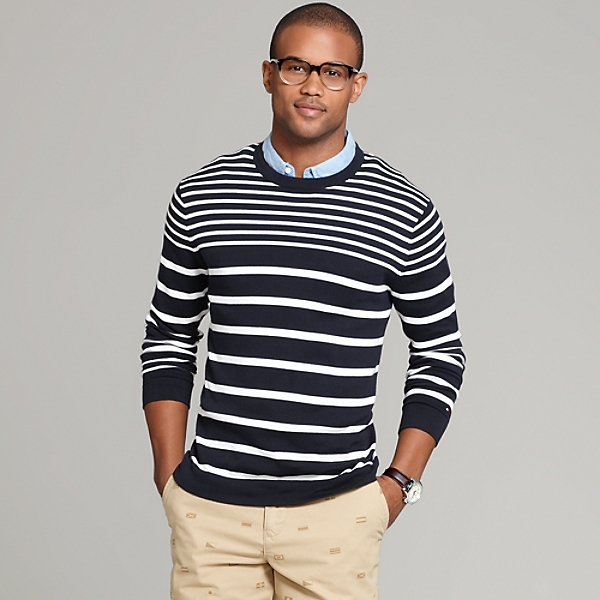 It’s a good bet that their Prep Stripe Sweater ($88) will be finding it’s way into our wardrobe in the very near future. After another ridiculous week in the office, we are truly looking forward to knocking out a few errands, seeing a few friends, and generally keeping a pretty low profile for the next couple of days. That said, there is a good chance that we don’t get much more dressed up than a comfortable pair of jeans and a pullover. 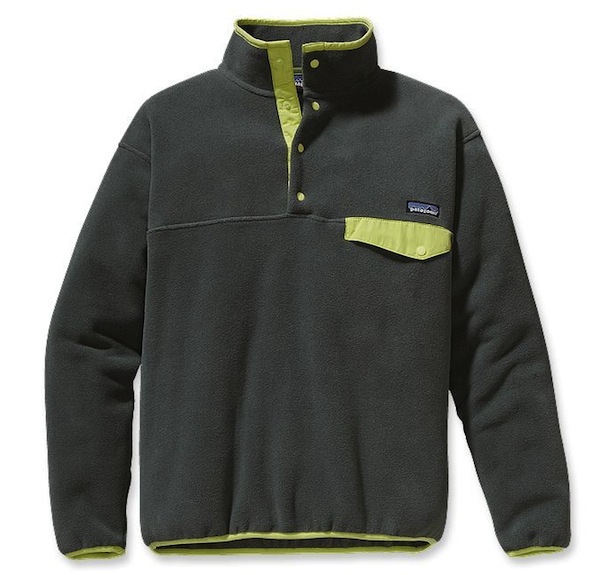 Whenever a weekend this low key comes about, you really can’t go wrong with the Synchilla Snap-T Pullover ($99) by Patagonia, in fact, you’ll probably catch us in one for a good part of the next 48 hours. 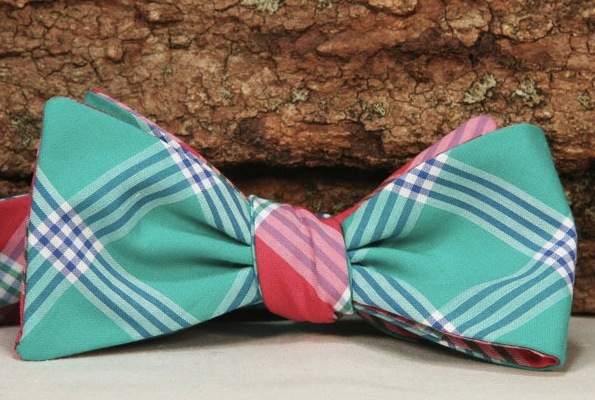 Multi-Plaid Classic Bow by General Knot & Co.
One of our favorite parts about Bowtie Friday is the thrill of the hunt. You wouldn’t believe how many ties we look at before deciding on one to post, but sifting through lots of good to find great is never a bad way to pass the time, and we certainly aren’t complaining. Apparently, our new friends over at General Knot & Co. have a soft spot for the thrill of the hunt as well. In fact, the majority of their fabrics come from estate sales, vintage finds, and auctions across the country. That said, the fabric for this week’s Bowtie Friday pick, their Multi-Plaid Classic Bow ($68), actually came from a tailor shop in New York City that is run by a friend of theirs. Just like a trusty pair of jeans or chinos, we think that every man needs a go to pair of light grey pants. 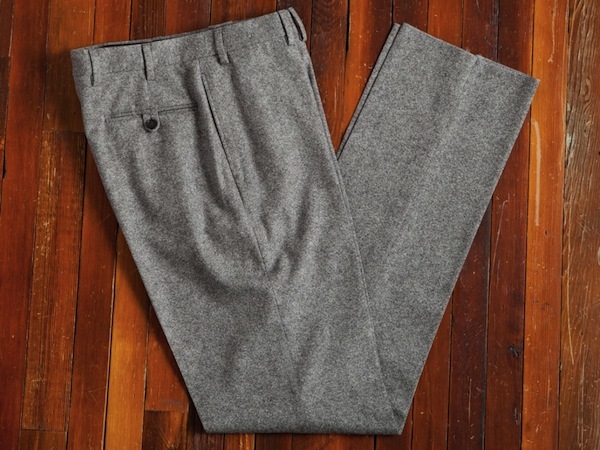 Perfect for a day in the office, or a night on the town, a light grey pair of slacks should always be at the ready. There are a number of fantastic options of various weights out there, but, for this time of year, we would recommend something a bit heavier like the Graham in Grey Tweed ($186) by Billy Reid. On a daily basis, we do our best to alter the unofficial office dress code. Yes, we still have plenty of standard white and blue shirts in our office collections, but bold colors and patterns are dominating these days. Not that there is anything wrong with a basic white or blue, but why go with what you know the majority of the office will be wearing when there are so many other great options out there? 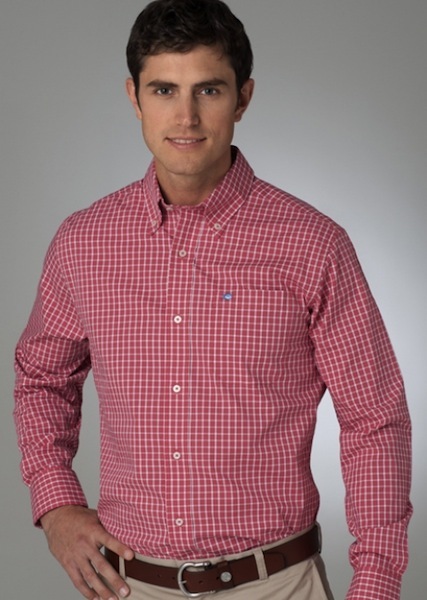 If you too are fighting the good fight against everyday blue or white, we think you’ll like the Dockside Red Checkmate Check Sport Shirt ($99.50) from Southern Tide. As much as we hate to admit it, we like a little bit of snow every once in a while. It’s nice to see falling, and a fresh coat of snow just seems to make the world look like a nicer place. Well, those feelings wear off pretty quickly when the temperatures rise just enough to turn the skies, and everything that has fallen, into a grey misty mess. That’s what we dealt with here in Annapolis yesterday, and it was far from pleasant. Not only was it cold, but the drizzle and mist made it downright terrible. 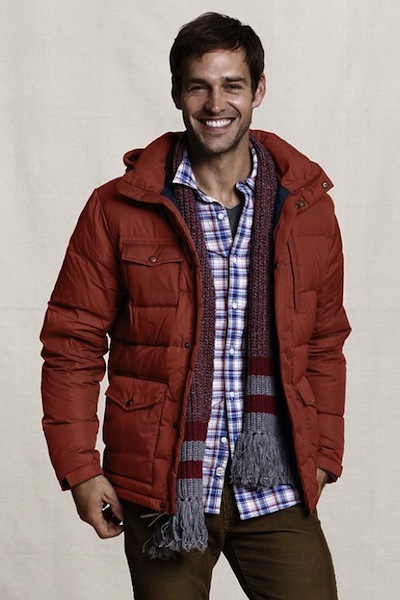 If you think you’ll be facing similar conditions in the near future, we’d recommend picking up a Down Jacket from Lands End Canvas ($64.99). Whether it is in honor of something big or small, we are always up for a great party. Well, this year L.L. Bean is celebrating something huge, and with a ton of events and products planned to honor the event, it is safe to say that their 100th anniversary celebration is going to be one heck of a year long bash. 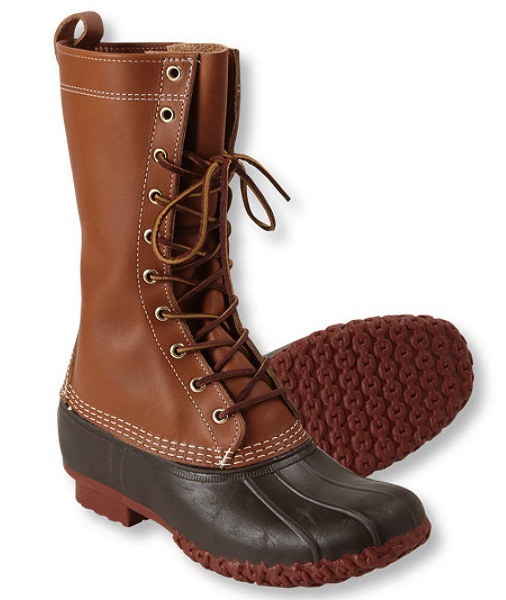 We’ll definitely be profiling a number of their special 100th Anniversary products throughout the year, but the first absolutely has to be the 100th Anniversary Maine Hunting Shoe ($139). We aren’t going to do it every week, but after our Saturday Reading post was so well received last week, we figured today was as good a time as any to spread the word about another publication that we think everyone should lay eyes on. 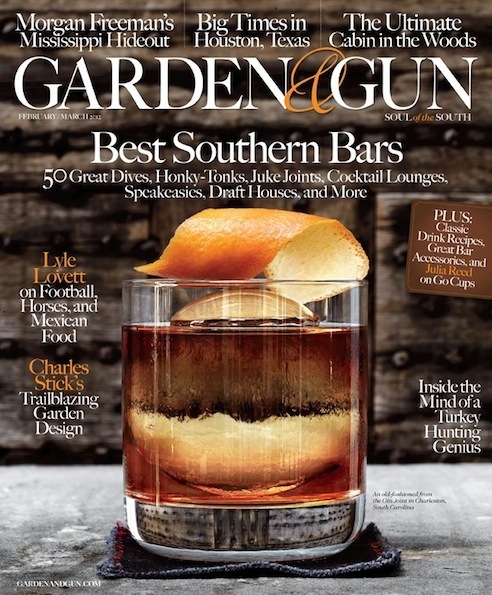 Whether you live in the South, have roots there, or simply visit as often as possible, we think you’ll love Garden & Gun magazine. Their February/March issue is hitting newsstands now. As much as we love to turn heads with the bowties we wear, there are many occasions when an understated print is far more suitable. Sure, we love a classic repp stripe, but for times when we are really looking for something low key we turn to a look that has been around for ages, a simple dot print. 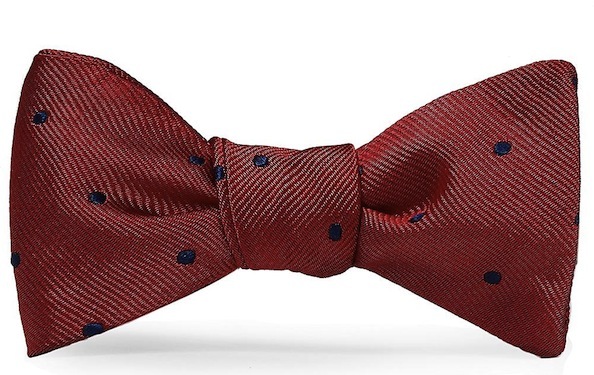 If you don’t have one in your collection, head over to your local Brooks Brothers and pick up a Dot Bow Tie ($55), you won’t regret it.